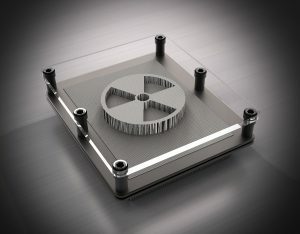 Wolfmet tungsten is the first choice for radiation shields or collimators used to focus radiation beams. This is because of Wolfmet tungsten’s remarkably high density. It is more than 60% denser than lead and therefore provides superior attenuation characteristics for x-ray and gamma radiation. We are proud to be a direct part of this expansion through our involvement in the DEPICT Project. Experts from the University of Liverpool – Department of Physics, and The Royal Marsden and Royal Liverpool University Hospitals have been working to develop an imaging system (DEPICT). It will better quantify the absorbed radiation and help facilitate personalised treatment planning. Critical to the imaging system is the parallel hole collimator which is used in conjunction with a CZT detector. Researchers selected Wolfmet high density tungsten as the ideal material for the collimator and Wolfmet 3D additive manufacturing as the perfect method of manufacture – click here to download the full article.